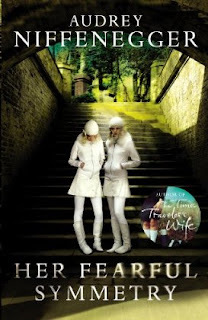 This entry was posted in Adult, Adult Fiction, Blogging, Bookish News, Books, Fiction and tagged Audrey Niffenegger, Cover art, Her Fearful Symmetry. Bookmark the permalink. I haven’t put off a book because of the hype, but I have been disappointed because of the hype. It’s really hard for a book to live up to that. No, wait, I take that back. I have The Time Traveler’s Wife and I may have been unconsciously putting that off for that very reason.